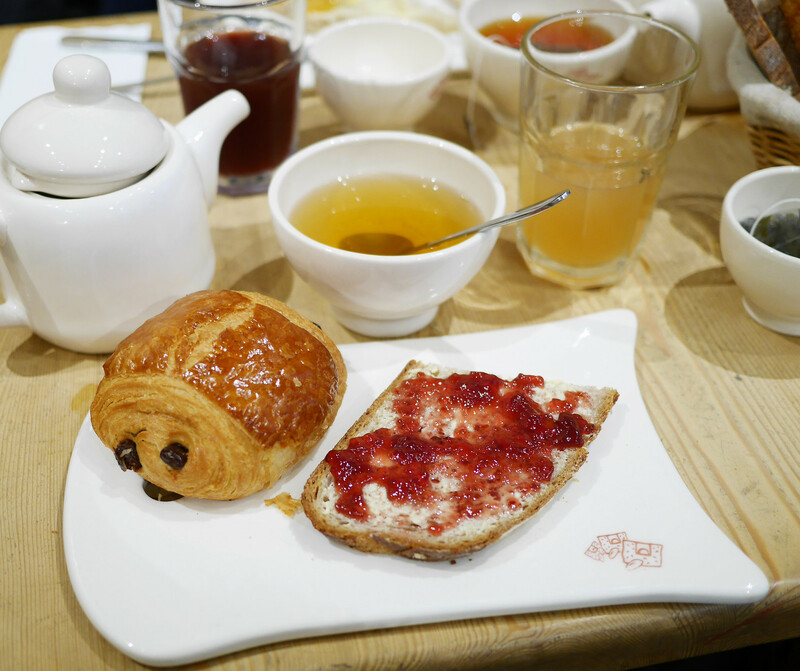 It was one tired breakfast in Paris lover who got out of bed this morning. I think you can see that from the photo haha. But as always, a yummy breakfast out is the best way to start the morning! 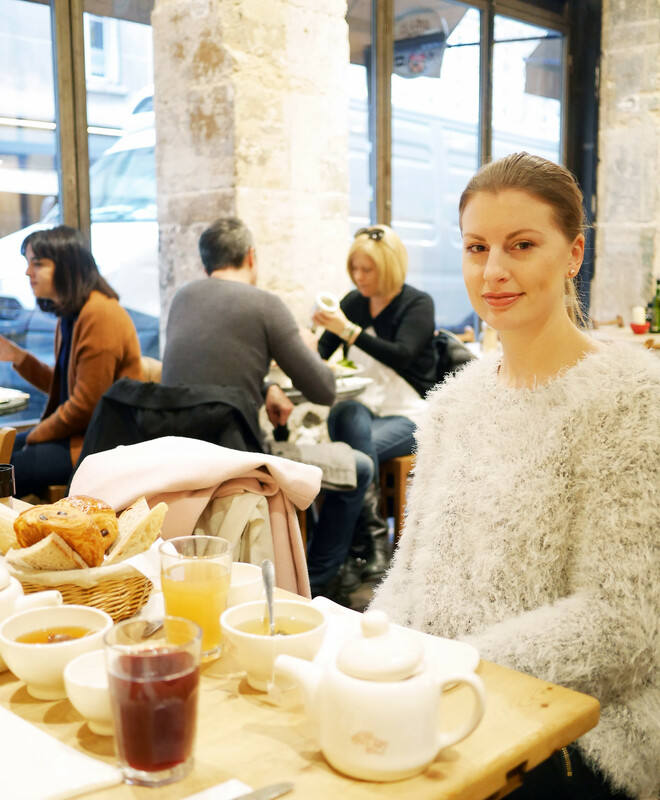 I put my coziest, fluffiest sweater on and met up with Andrea at Rue des Martyres, one of my favorite streets here in the So-Pi area. If I get to stay in Paris after my diploma is done, I want to live around this area. They were putting up big christmas trees decorated with gold and red bows in the little square just outside of the café. 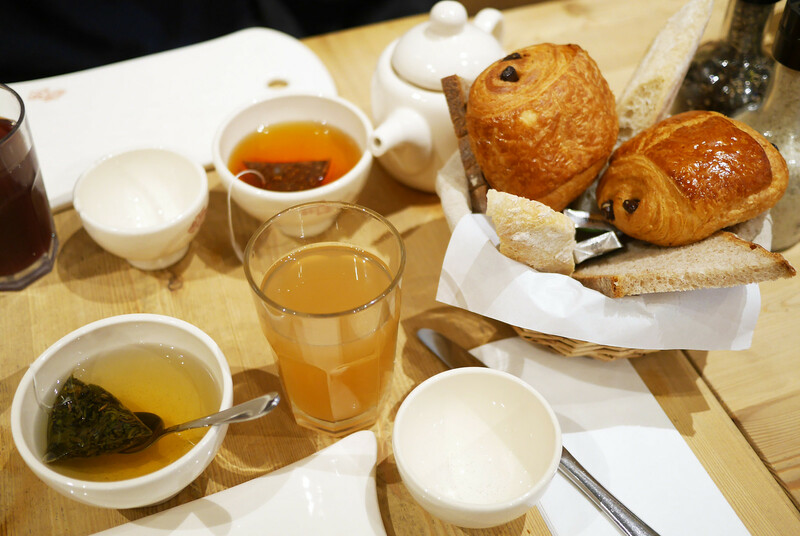 This street has a lot of breakfast places to try, but this time we decided to check out Le Pain Quotidien, somewhat the French equivalent to Starbucks. It was a little christmas decorated and not too crowded. 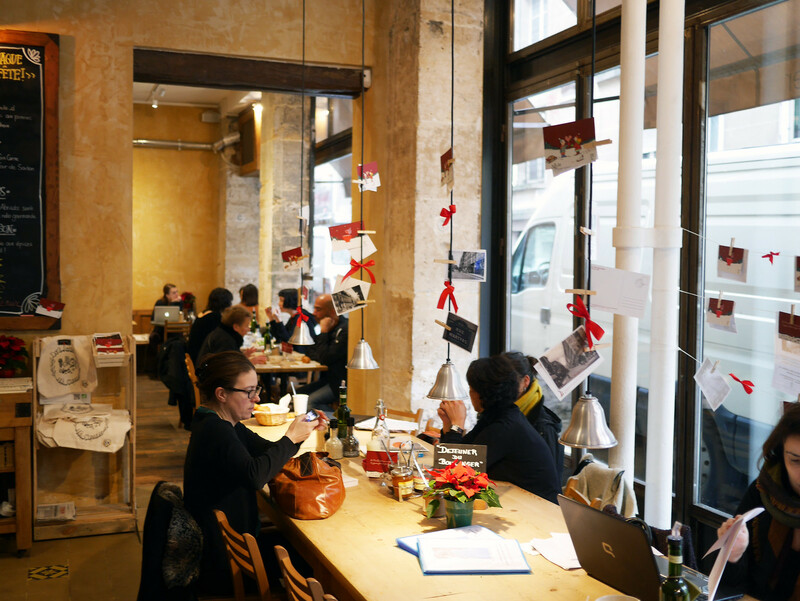 Cute rustic interior and free wifi. Perfect Coffice. 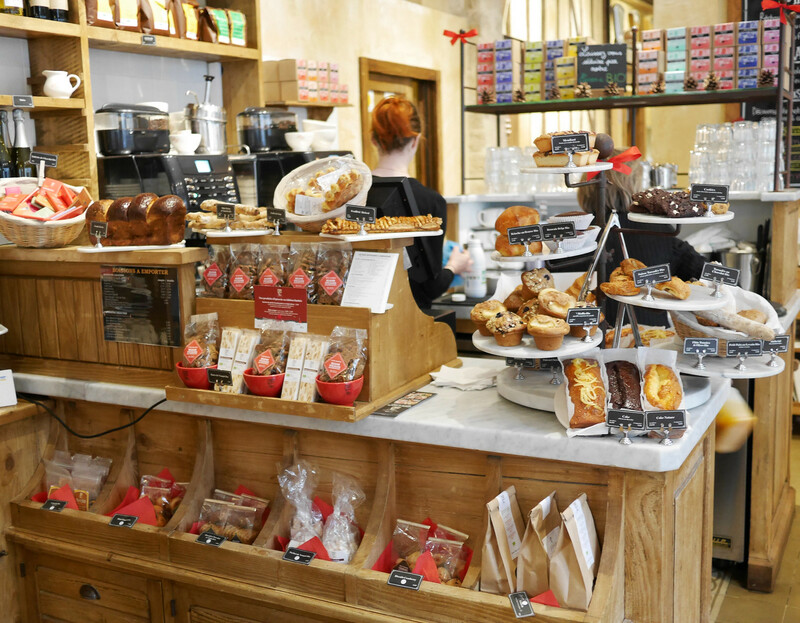 They have a breakfast menu for 10.20€ where you get an assortment of organic bread and their yummy spreads and jams, either a croissant or pain au chocolat, a hot beverage and fresh juice. 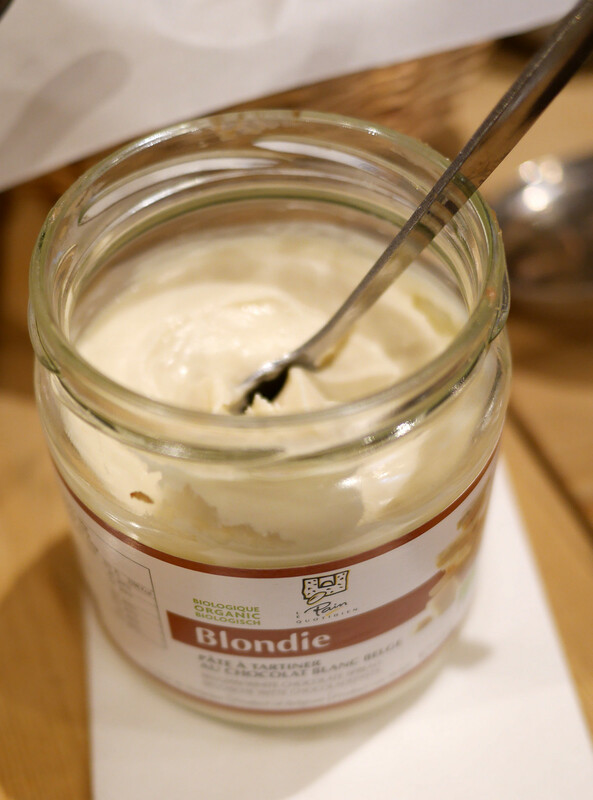 They had a fantastic white chocolate spread you have to try!! A little bit sweet but tasted just like the real deal. The staff was friendly and helpful, maybe a tad slow in taking orders (it's been the same in all Quotidiens I've been to, they seem to be a little understaffed) and they played soft christmas music in the background. 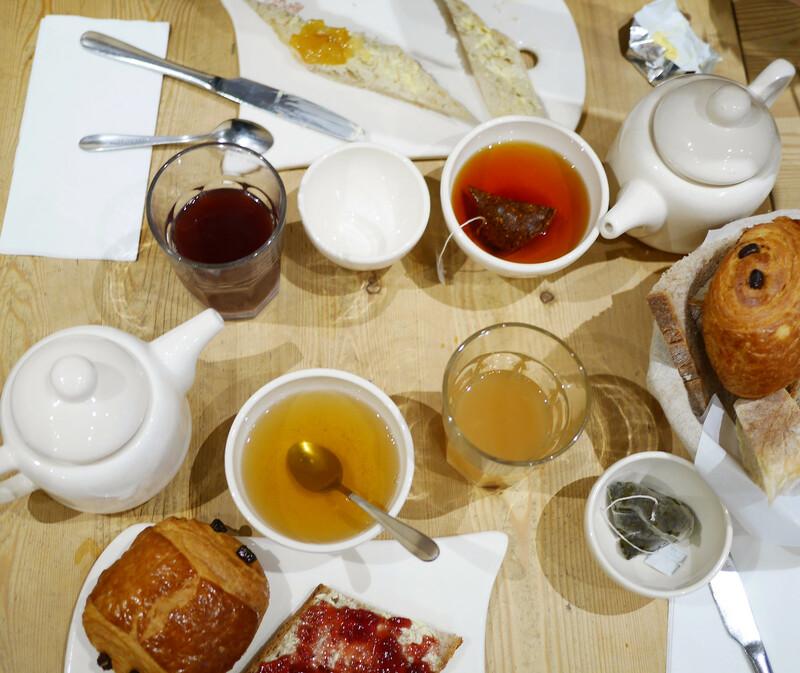 All in all a relaxed and nice breakfast place, and you could also add eggs and granola to your petit dej if you want. Recommended!